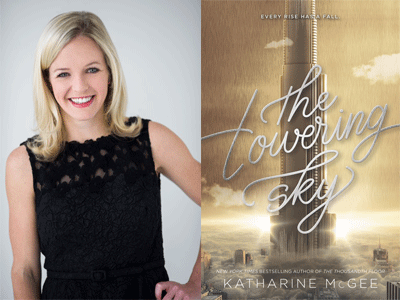 New York Times-bestselling author Katharine McGee shares the final installment in her epic Thousandth Floor series, The Towering Sky. Leda just wants to move on from what happened in Dubai. Until a new investigation forces her to seek help--from the person she's spent all year trying to forget. Watt is still desperately in love with Leda. He'll do anything to win her back--even dig up secrets that are better left buried. And now that Avery is home from England--with a new boyfriend, Max--her life seems more picture-perfect than ever. So why does she feel like she would rather be anything but perfect? Perfect for fans of Kiera Cass and Anna Godbersen, and with all the drama, romance and hidden secrets from The Thousandth Floor and The Dazzling Heights, this explosive finale will not disappoint.